This is an old hospital and therefore hauntings are layered on hauntings here. Nurses claim to hear babies crying when there are no babies on the floor, doors open and close on their own, electronics go off independent of any living operator and the ghosts of nuns who used to work have been spotted, especially in the kitchen area. 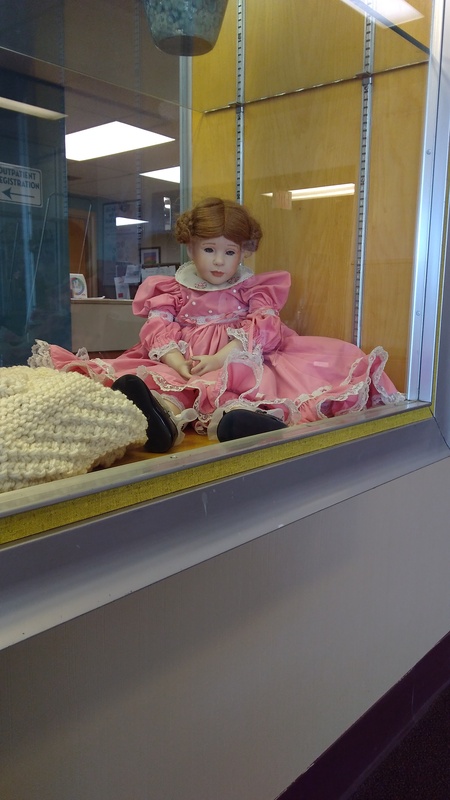 I work night security here and have heard ask the stories and personally have seen the nuns, however they have a porcelain doll on display that had moved I took pictures. 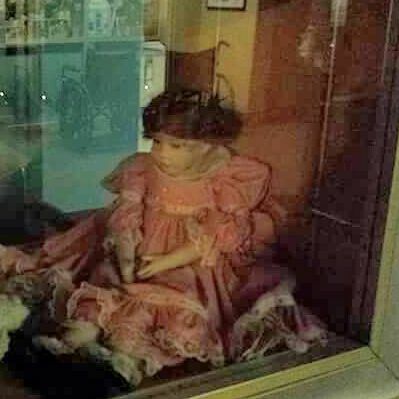 This is the original position the doll started in and no one opens this case until it’s time to switch displays every 3 months.